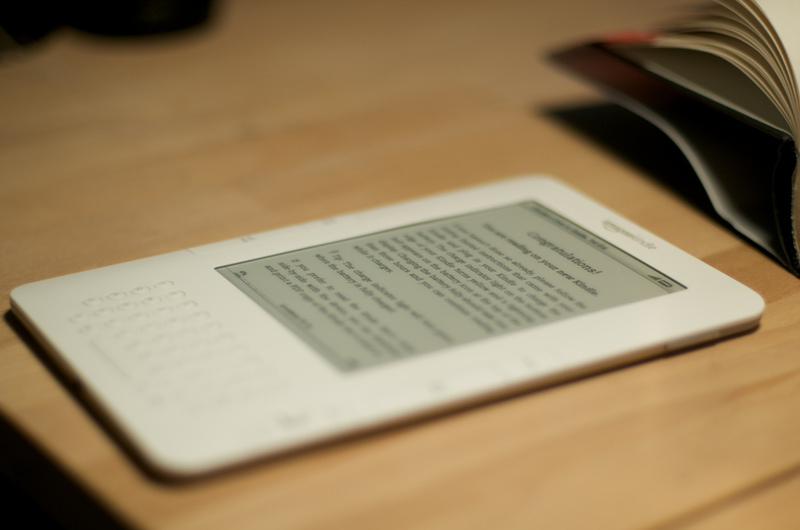 Amazon has revealed that consumers in the UK are now buying more Kindle eBooks than printed books for the first time, with British Kindle owners buying up to four times more books than before they owned the popular Amazon e-reader devices. The Guardian reports that for every 100 paperback and hardback books it sells, the company is seeing 114 eBooks downloaded, as Amazon’s range of Kindle e-readers (including the Kindle, Kindle Touch, Kindle Touch 3G, Kindle Keyboard 3G) continue to outsell all other products in its UK store. Amazon describes the shift as a “renaissance of reading”, but the company has already seen digital downloads surpass print sales in its biggest market — the US — since the beginning of 2011. In July 2010, the company announced that Kindle books had passed hardcovers and predicted that Kindle would surpass paperbacks in the second quarter 2011 — but with 143 downloads for every 100 hardcover books, it has surpassed the milestone even quicker than anticipated. Amazon is tipped to launch a new line of Kindle e-readers and update its Kindle Fire tablet range in the coming months, possibly opening sales to its most popular European markets, including the UK, France, Spain and Germany.